More than 7 in 10 0% balance transfer credit cards charge a balance transfer fee, according to WalletHub data. The average fee is equal to about 2.6% of the amount transferred. And that would cost the average household over $200, if they were to transfer their nearly $8,000 in credit card debt. Needless to say, balance transfer fees are important for anyone with debt to consider. That includes the millions of Americans with credit card debt, plus people with high-cost auto loans, personal loans, private student loans, etc. You can use a balance transfer credit card to repay most types of consumer debt, after all. Below, you can learn more about how balance transfer fees work, how they’ve changed over time and the best ways to avoid them. When you transfer a balance to a credit card, the new card’s issuer repays your original lender on your behalf. That original lender doesn’t really care where the money comes from, as long as it gets paid. You’re presumably getting a lower interest rate in the process. And the issuer of your balance transfer credit card is happy to offer that low rate because it has plenty of ways to make money on transferred debt. Balance transfer fees are an essential element in the equation. 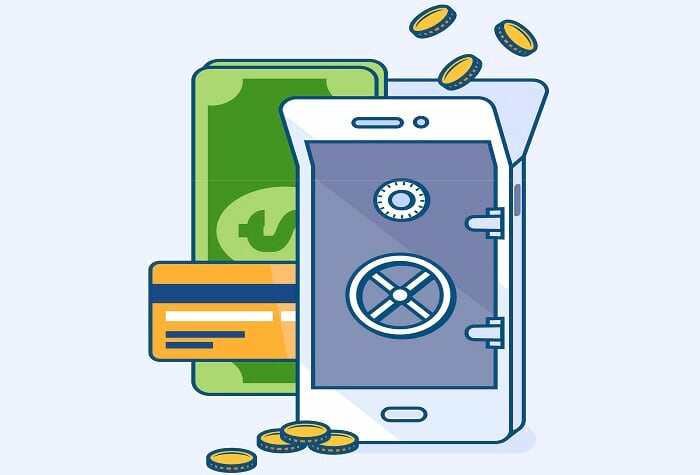 They ensure that balance transfer credit card issuers make money even if you repay your full balance before a 0% intro APR gives way to a high regular interest rate. And if you don’t get out of debt by that time, those high regular rates will gradually erode your savings, to the card issuer’s benefit. Balance transfer fees are typically assessed immediately when you transfer a balance and become part of that balance. For example, if you transfer $10,000 in credit card debt to a credit card with a 3% balance transfer fee, you’ll owe $10,300 to your new card’s issuer. That’s obviously not ideal. But if the card’s offering 0% interest for the first 21 months, paying a $300 balance transfer fee would still be a lot better than continuing to pay interest at the market average rate of roughly 18%. This just goes to show that even when you have to pay a balance transfer fee, you can still save a lot of money. But all else being equal, you’d obviously prefer a card with no transfer fee. And that’s why it pays to shop around. Balance transfer fees aren’t always disclosed clearly on credit card applications, either. So make sure you understand the terms before submitting yours. After hovering near 3% for years, dating back to at least 2010, balance transfer fees have declined significantly from their Q3 2016 peak of 3.9%. As of the fourth quarter of 2018, the average balance transfer fee is 2.53%. Below, you can see how transfer fees have changed over the years. As you can see, now is a good time to consider a balance transfer if you’re currently paying interest at a high rate. Balance transfer fees are at their lowest point this decade. Interest-free introductory periods are 14% longer for balance transfers than new purchases. And most people have plenty of debt to get rid of. Check Your Credit Score – The best balance transfer credit cards are reserved for people with good or excellent credit. So you’d be wise to check your latest credit score for free on WalletHub early in the process. If you discover that you don’t have good credit or better, you’ll have the opportunity to improve your credit score before applying. Look for No Balance Transfer Fee Credit Cards – 0% balance transfer credit cards with no balance transfer fees aren’t always available. And they might not actually provide the best terms for your situation, depending on how long their 0% APRs last and how much time you need to repay what you owe. But if you can get such a card and get out of debt within its 0% intro period, not having to pay a transfer fee obviously is idea. Use a Balance Transfer Calculator – WalletHub’s free balance transfer calculator can help you crunch the numbers to see which card is best and whether you’re better off paying a fee in exchange for a longer 0% term. Read The Fine Print – Make sure you understand every detail before submitting an application. How long does your introductory APR last? Is there a balance transfer fee? Is it waived when you transfer your balance within the first couple months of account opening? These kinds of questions will make an enormous difference in how much money a transfer actually saves you in the long run. Finally, it’s worth noting that the best way to deal with balance transfer fees is to never put yourself in the position of having to pay them. So after successfully transferring and repaying your balance, take the necessary steps to stay out of credit card debt. That means adjusting your spending habits to remove certain luxuries and building an emergency fund you can draw from during hard times. Even many of the best balance transfer credit cards charge transfer fees. And the combination of a 0% intro rate with no balance transfer fee is quite rare. But there are a handful of such offers on the market right now. WalletHub compared how long their 0% balance transfer APRs last, how much they charge and how hard they are to get. And we selected our overall favorites. You can learn more about these offers from WalletHub’s full review of the year’s best balance transfer credit cards. 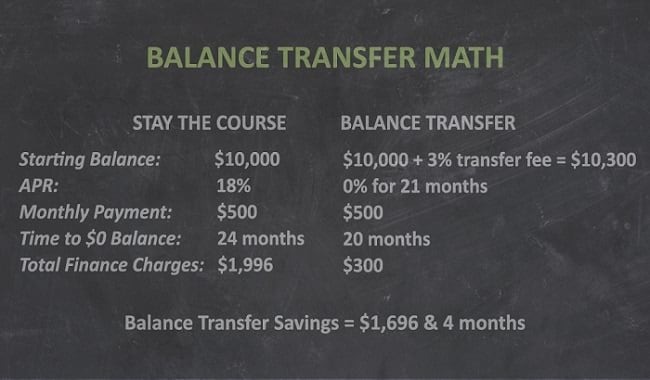 And you can get a better understanding of how the transfer process works from our balance transfer guide. There are a lot more elements to a balance transfer than just fees, after all.